Nima is not following anyone. Nima is an Associate in Residence at Canvas focused on Marketplace, E-commerce, Logistics, Mobile and API economy investments. Nima has over a decade of business development and operations experience, having helped scale businesses from $0 to $7 million, and $1 to $2 billion in revenue. Most recently, Nima was the Head of Business at Shippo, the leading Shipping API for E-commerce, and was responsible for Business Development and Partnerships. At Shippo, he formed exclusive partnerships with the likes of GoDaddy and Weebly among others. 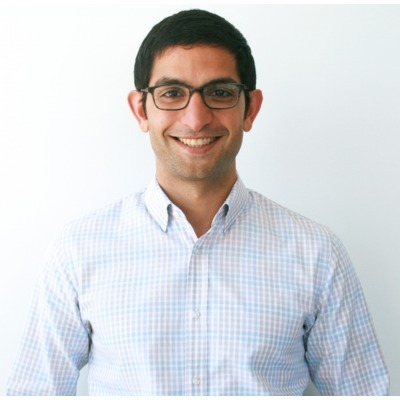 Nima spent 3 years at Groupon in leadership roles across Lead Management, Sales Strategy and Operations. As Head of Sales Intelligence, he directed the strategic launch of Groupon’s largest Sales Campaign, resulting in a $300 million year over year increase in gross bookings. Nima earned his B.A. in Communication Science and Rhetorical Studies from the University of Wisconsin-Madison and an MBA from the Liautaud Graduate School of Business at University of Illinois-Chicago. He is an active member of the startup community having advised over 20 companies, such as EquityZen, Folloze and Storefront. Nima became a competition judge for the Vator Splash Spring 2016 competition.